well what really happened was I took bike to wannabe mechanic to adjust carb and valves was idling fine but like i said would kill if you gave more then half throttle. is it possible he adjusted valves wrong and this happened? Can't say, but dying when you throttle up won't cause a problem like that. How about the whole story - why did you think the carb needed adjusted? There is only 2 adjustments that can be made to the carb externally and both are for idle. If it was idling fine, what made you think the carb needed adjusted? I let him look at it and he said it needed different size main jet. All he said is he went to start it and heard loud noise and would just turn fast no compression. I asked if he adjusted valves he said yeah but I dont know if this happened right after he so say adjusted them or what. Should have just did it myself. Well - can't blame him - if it was running lean (hot) the damage might have already been done. 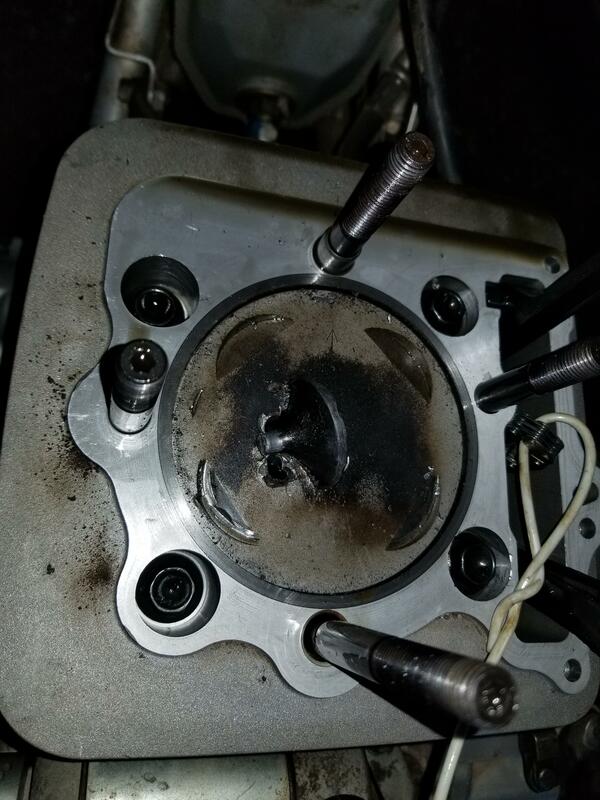 It could be that the valve seized to the guide when the engine was last shut down (an engine usually stops in a position that leaves a valve open) and the piston hit the open valve when he went to start it. 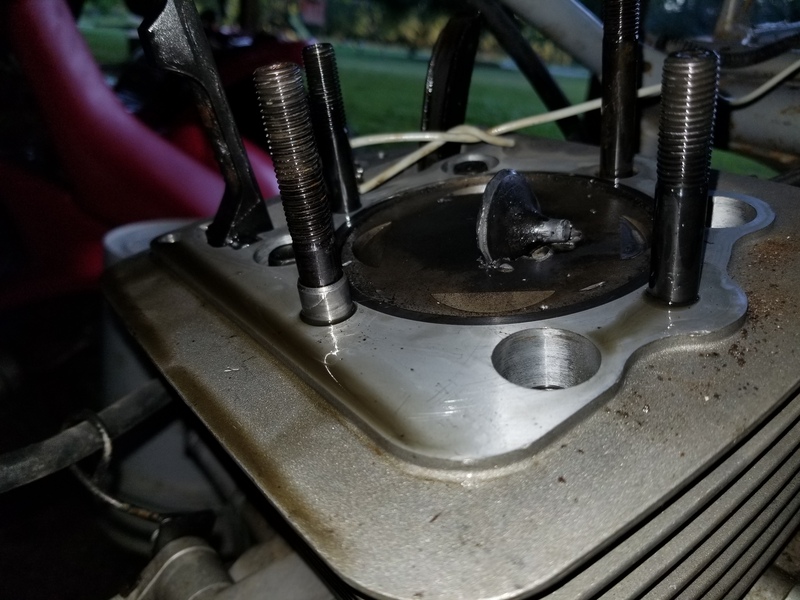 Speaking from my own experience; the valves don't need adjusted if the engine starts easily (hard starting usually indicates tight valves) - I usually start an engine before adjusting the valves - he probably did the same thing. Highly modified engines fail more frequently than stock engines. They are subjected to higher stress and operating temperatures. The durability of a modified engine depends on the experience of the engine builder and the longevity of a modified engine is in the hands of the operator. 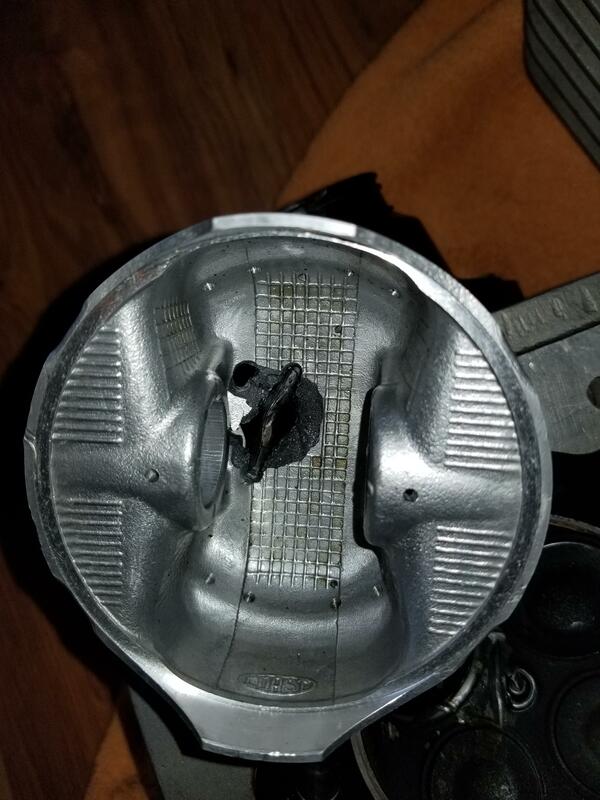 Something that happened to me one time: I was doing a tune up on a Kawasaki EX500 Ninja - the owner complained of a clicking noise in the lower end of the engine. Before I even started working on it, I started the engine and was running it with no load (not in gear - not riding it) - I was using a stethoscope to try to determine where the obvious noise was coming from. The noise increased in frequency with engine RPM. At about 5000 RPM (engine had a 10,500 red line) the clicking went CLACK! and the motor died instantly, but there was a smooth whirring noise that gradually slowed and stopped. My first thought was the crankshaft broke. I started tearing the motor down, found a broken cam chain and wondered how many valves were damaged. To my surprise, no valves were bent (a minor miracle considering the speed the parts were spinning at when the chain broke), but the cam gear on the crankshaft (cut directly into the crank) was missing a tooth. 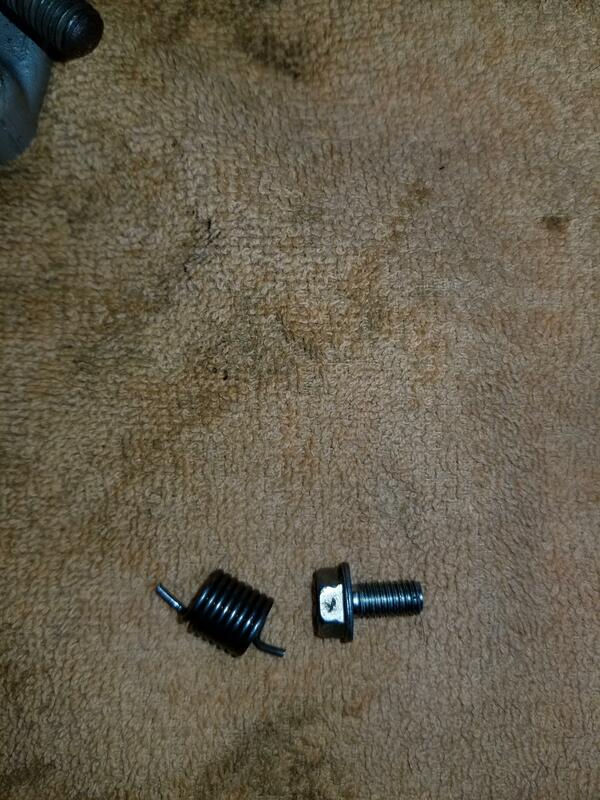 There was the source of the noise - a bad cam chain gear. The chain breaking while I was running the engine was just coincidence. The chain could have broken any time leaving the rider stranded and probably doing more damage than what occurred. If it's worth it, all you can do is repair the damage and try to figure out what happened to cause the problem and do a better job on the next build. 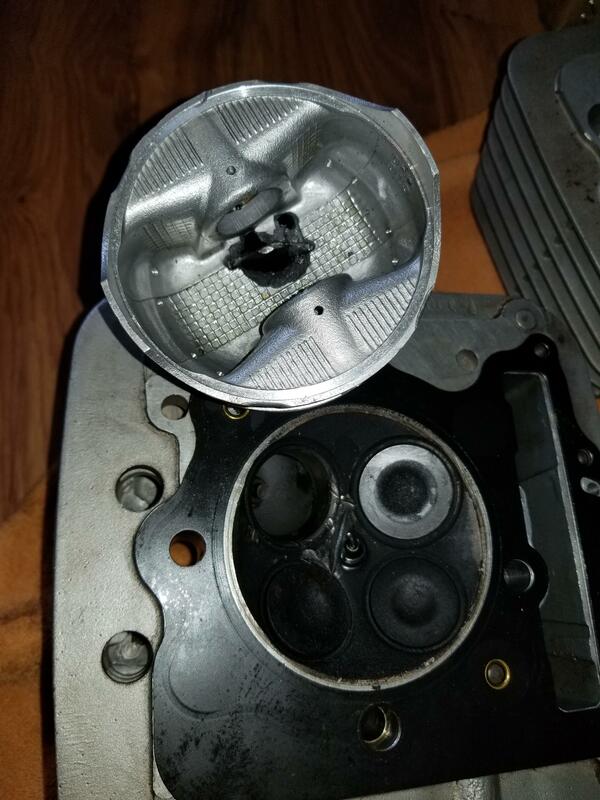 Anyone know what kind of piston this was? The cylinder looks good I can't find a scratch on it, measured at 89mm with calipers. I do plan on using wiseco kit. The rod looks good but has a very slight wobble side to side, is that normal?